For the past 60 years, the Chevrolet brand has built a staggering 1.3 million Corvettes. The majority of these models have turned out to be great cars. Even though some models didn’t do great at least quite a good number of Corvettes have performed very well. Just imagine owning a car that you just of driving every time of the day or at every opportunity and an automobile with remarkable functions and capabilities. The Corvette has and will always be an automotive icon, it a good example of just how excellent and impressive a vehicle can be esthetically and mechanically but yet offer an affordable price tag. 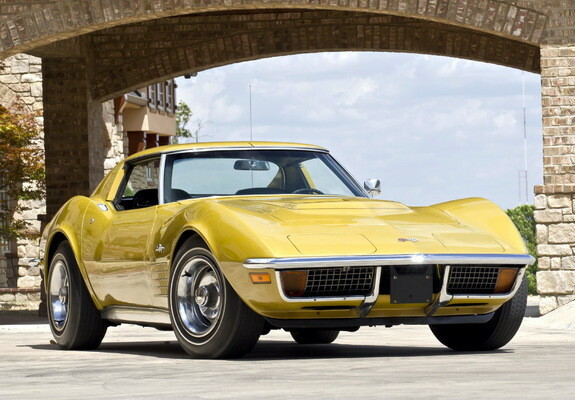 The curvy C3 Corvette was and is still one of the automotive design icons of the 70s era. Built based on the popular Mako Shark concept, this Corvette was, unfortunately, a victim of the oil (which forced auto manufacturers to downsize engines and power figures to economize fuel) crisis of 1972. Luckily, it had some years to spread its legs before downsizing began and the best Corvette to come from this generation is the LT-1. It is powered by a 350 cubic inch small block V-8 engine and is still one of the most popular Corvette’s desired today.